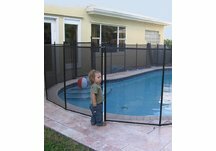 Pool Cover Source offers the highest quality Steel, Aluminum and Vinyl Pool Fencing. Installing the right fence around your pool is a must! Our versatile pool fencing is ideal for both home and business applications. 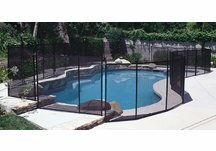 We now also offer mesh pool fencing that is easily installed and removed! Be sure to check out our wide collection of fence and gate accessories to complete your next fencing project! 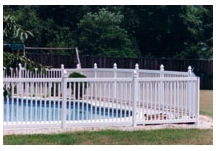 To learn more about the importance of pool fencing, please visit our pool safety page. Currently we are not shipping our aluminum or steel fencing outside the contiguous 48 states.